Alcohol abuse is often a problem behind anger management issues. If the alcohol addiction is not treated, the anger issues will never be resolved. Most people do not know the early warning signs of alcoholism. You're about to learn them. If you have both anger and alcohol issues, the alcohol problem has to be dealt with first, meaning you can't deal with the anger successfully and just keep drinking to excess. I know this may not be good news to you, but I don't like to see people waste their time (and sometimes money) on something that just won't work. Once you're in recovery, then you can start successfully controlling anger. I hope you will take good care of yourself here, by making your recovery from alcohol addiction your top priority. Alcohol addiction is sneaky--meaning, you don't see it coming until it is in the advanced stages. Many people are in the early stages of alcohol addiction, and do not know it. 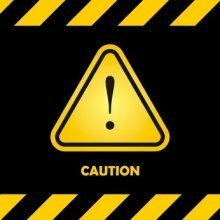 That's why you need to know the early warning signs, so you can act now to improve your health and your life. Do you have a story or question about alcohol addiction? Tell us now! Your drinking is a concern or worry to you or someone else. There is a mood or behavior change when you drink. (This is where the anger management issues would come in). You drink to excess on a regular basis, or your excessive drinking follows any kind of pattern. You notice an increase in the amount you drink over time, whether weeks, months or years. You have a high tolerance for alcohol...you may even be proud of how much you can "hold." You notice yourself hiding your drinking (from anyone), or denying the problem to yourself. If you meet even one of these criteria, you're in the early states of alcohol addiction. If you meet them all, then you're farther along in your alcoholism. Of course, there are many more advanced signs of alcohol addiction, such as loss of job, failed relationships, DUI's, and "blackouts." This is what we're trying to prevent, if you're not already there. If you have anger control issues, you must take care of the alcohol addiction first. Otherwise, you'll be wasting your time and energy on any efforts you make. Now let's look at what you can do if you meet these criteria for early warning signs of alcoholism. You're smart enough to still be here...you saw yourself in the above early warning signs of alcoholism and alcohol abuse. Good for you. Now it's time to take the steps to recovery, so you can deal with your alcoholism and your anger management issues. Go to an Alcoholics Anonymous meeting. Just go, listen, and consider joining. The AA program works, if you work it. Get professional counseling. 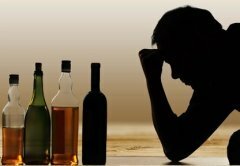 There are always emotional and psychological issues behind alcohol addiction. Dealing with these issues helps you deal with the addiction. 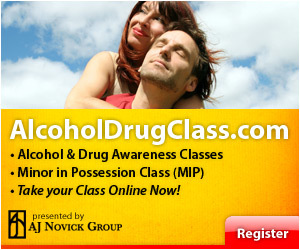 Sign up for Alcohol And Drug Class Online, an excellent program you can complete at home, on your own. Classes are 8, 16 or 24 hours in length, and include programs for MIP (Minor In Possession). Learn to moderate. Most people with alcohol addiction patterns cannot do this. The main idea here is to take action now, and not wait until the problem gets worse. Here is a comprehensive alcohol abuse article published by the U.S. National Library of Medicine. Is your anger always worse when you've been drinking? Do you only get angry when you've been drinking? Well, that means you have an alcohol abuse problem, and it must be dealt with before you can address your anger issues. Have A Story Or Question About Alcohol Abuse? Do you have a story or question about this? Share it!